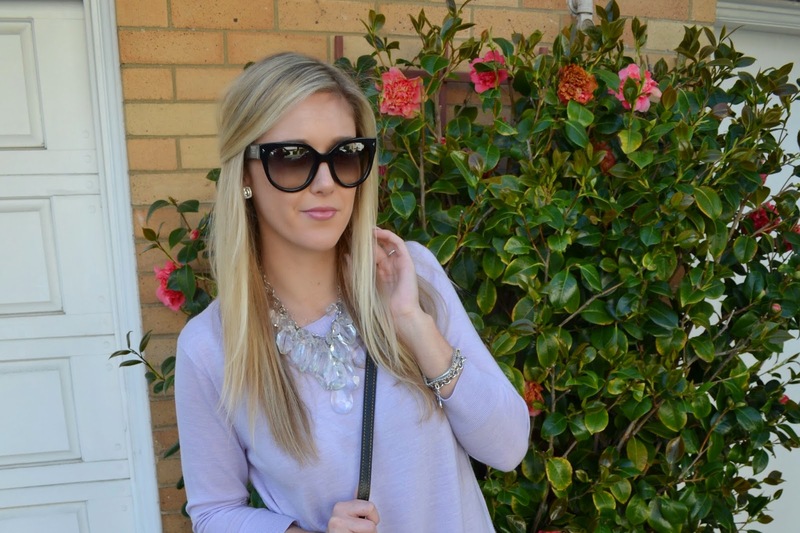 With pastels being back for spring, I have been on the hunt for the perfect pastels pieces to fold into my wardrobe. When I saw this J.Crew sweater (here is a similar version in cashmere), I knew we were a match made in heaven. 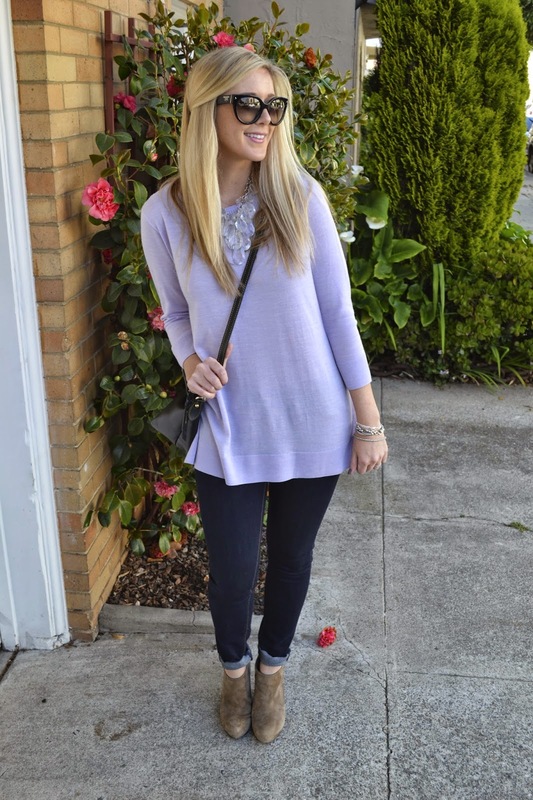 I was so jazzed about my new lavender sweater that I wore it the next day with my "chandelier" necklace as I call it, dark jeans and grey suede wedges. A new favorite combo.